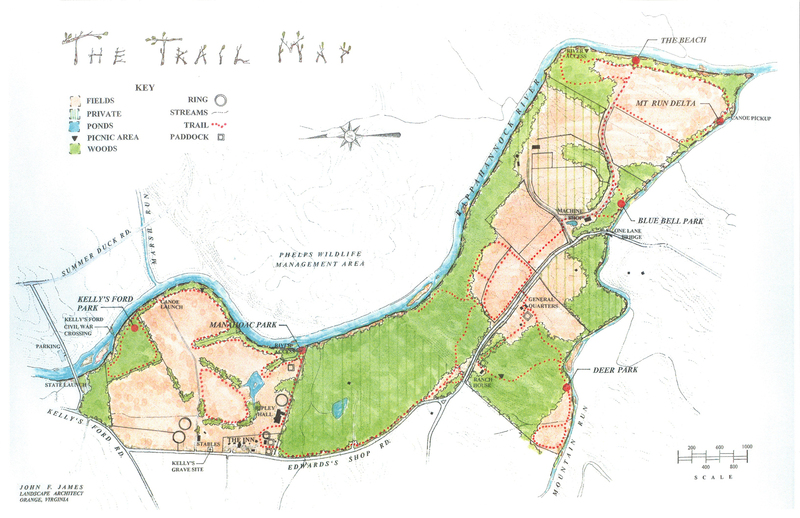 Below you’ll find a list of local places you can take your horse to ride on the trails. 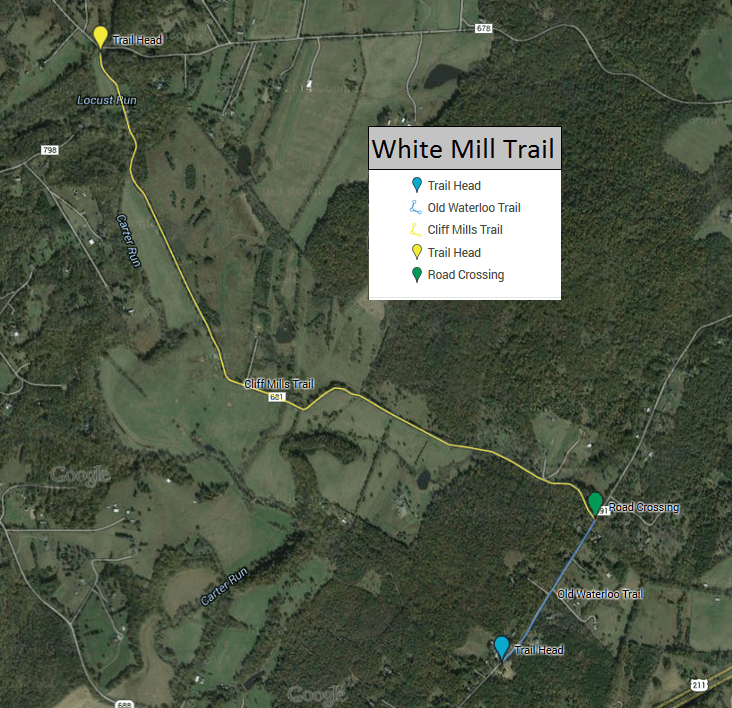 Click on the name of the trail for a map. Boarders please ask for a copy of our annual park passes. We’re fortunate to have a trail right down the road from the farm. It’s a little over 2 miles each way for a total of 4 miles if you go down and back. Most of the trail is on an old gravel/dirt road so we recommend your horse have at least front shoes. There is one road crossing and a stream near the end of the trail where you can enter the water. If we have had lots of rain expect to do an impromptu stream crossing where the stream has flooded at the end of the trail. 18 minute drive, 6 miles of trails. No hunting allowed makes this a great (and close!) 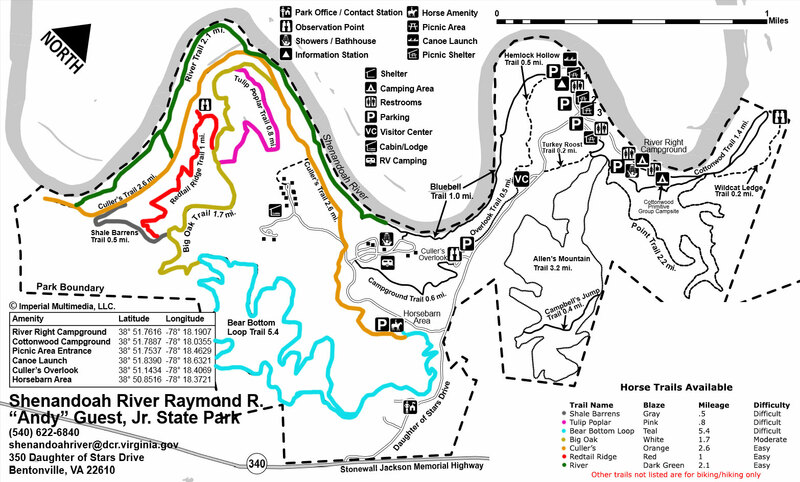 trail riding destination. The parking lot is small so it’s not good for large trailers. Many stream crossings with banks, blaze trail colors, one gravel road. 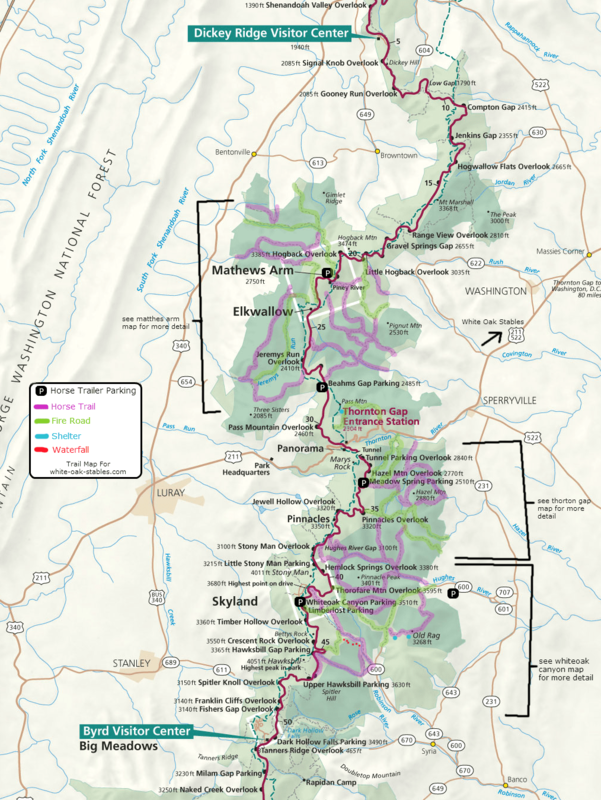 Open year round from dawn until dusk, $8 daily fee or annual Virgina State Forest permit required. 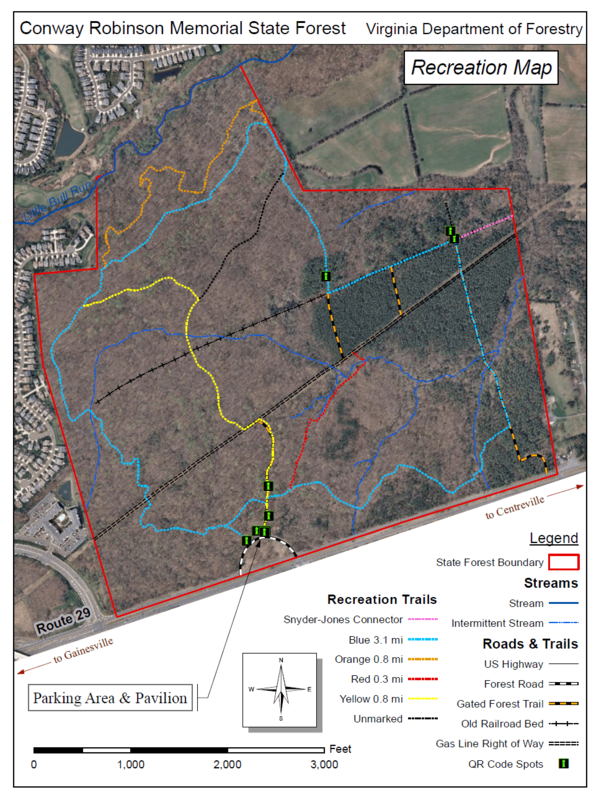 30 minute drive, 5.1 miles of trails. Limited hunting allowed and only during hunting seasons. Some gravel roads, stream crossings and a fair number of bikers. 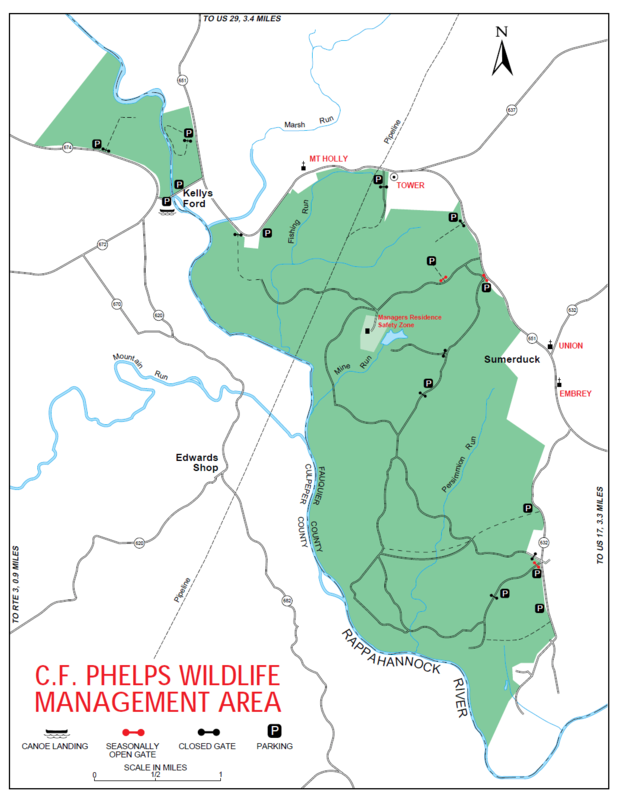 Open year round from dawn until dusk, $8 daily fee or annual Virgina State Forest permit required. 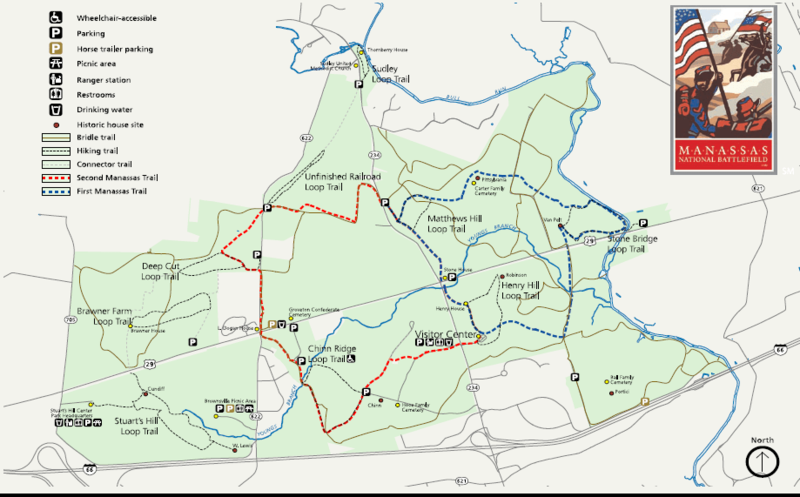 34 minute drive, 20+ miles of trails. No hunting allowed, however there are lots of road crossings with heavily traveled roads (high traffic and high speeds). A few stream crossings, no blaze trail colors, lots of open fields. Open year round from dawn until dusk, requires a day pass or you can buy a annual pass. 35 minute drive, 10 miles of trails. No hunting allowed however there is one optional road crossing on a road with light traffic and some of the trails are through cow fields with large herds of cattle. Some steep hills, woods and fields. 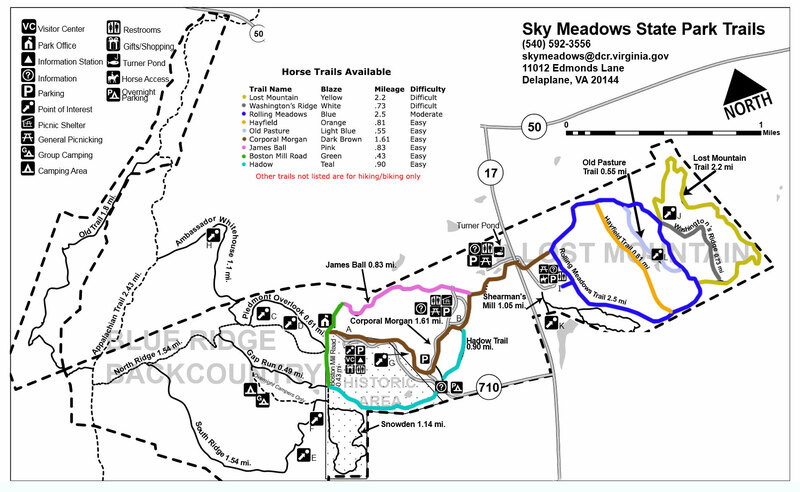 No stream crossings however the trails run by the Rappahannock river and there are plenty of places to take your horse into the water. Open year round from dawn till dusk, $35 per horse fee for use of all facilities (including indoor/outdoor arena and x-country course) for the day. Must bring a copy of a negative coggins and deposit both coggins and visiting fee in the drop box by the first outdoor arena. 37 minute drive, 10 miles of trails. Rocky trails, your horses need shoes. 2-3 water crossings. No hunting allowed but beware of bears and other wildlife. 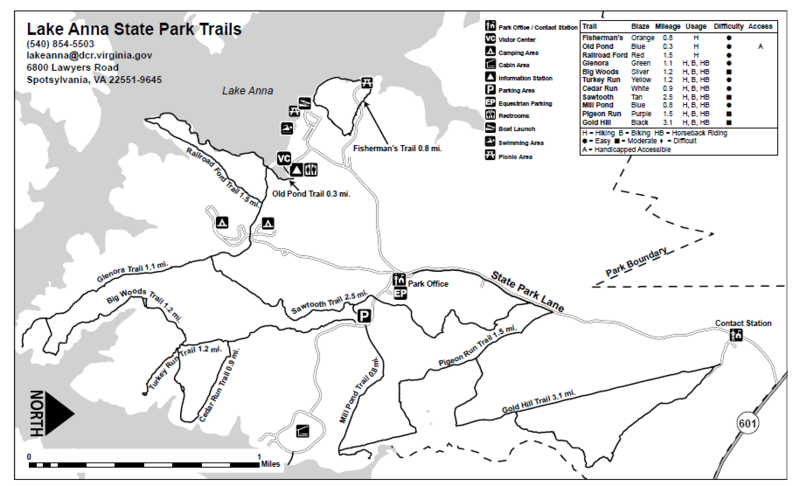 Some trails are only for hikers and bikers so please stay to the indicated horse trails. Open year round from dawn until dusk, $8 daily fee or annual Virgina State Forest permit required. 41 minute drive, 40+ miles of trails. Extensively hunted during hunting season, please wear blaze colors for your safety. This is a popular destination in our area and even has a Facebook riders group if you want to find a riding buddy to meet you there. Lots of rocky roads on the far end of the park with a mix of wooded trails and open fields closer to Kelly’s Ford. Many stream crossings, some with high banks. Places to go into the water on horseback. There are so many trails here and most of the maps don’t cover all of them, especially the deer trails. 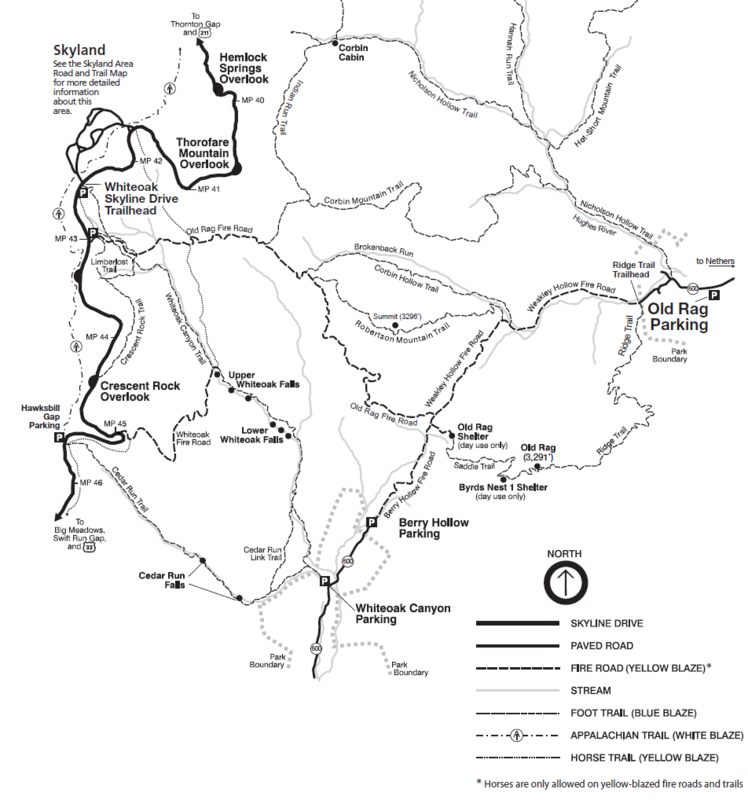 If you’re not familiar with the area it’s good to bring a guide. 47 minute drive, miles of trails. Extremely rocky, horses need shoes to ride here. Lots of steep hills. 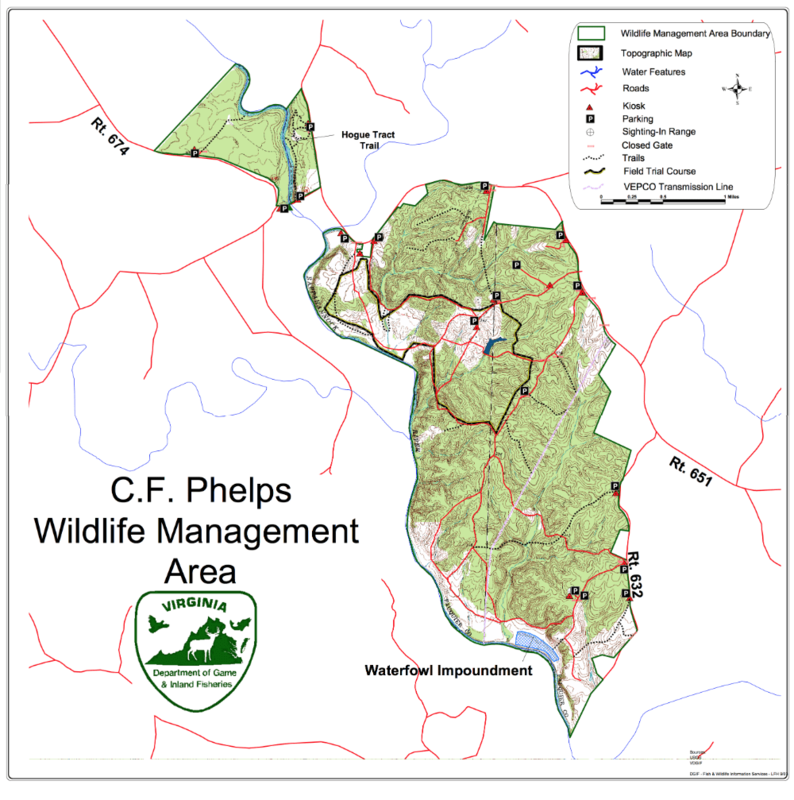 $8 daily fee or annual Virgina State Forest permit required. 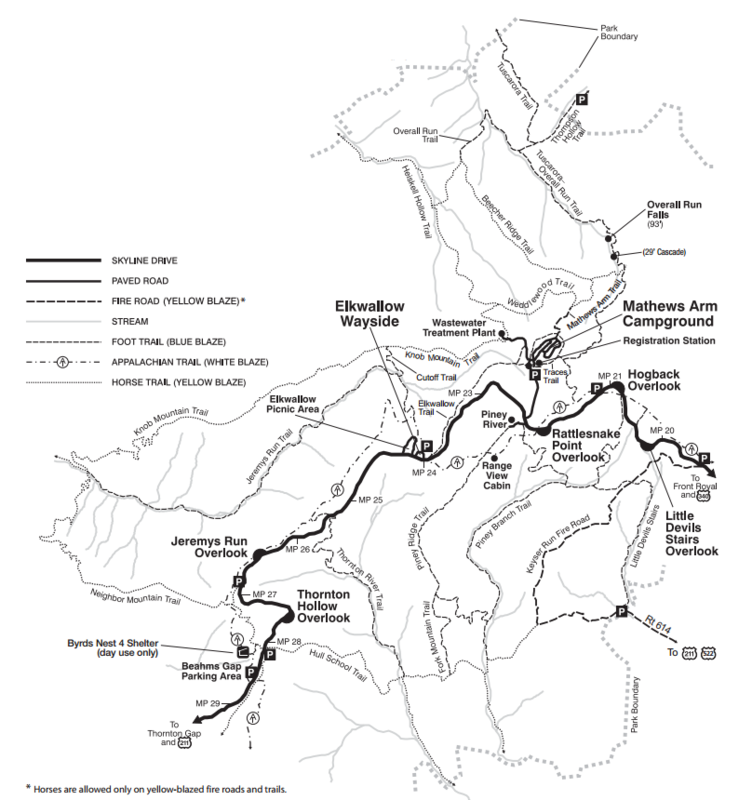 68 minute drive, 14.8 miles of trails. No hunting allowed and lots of mix-terrain trails makes this a popular place for endurance riders to practice. 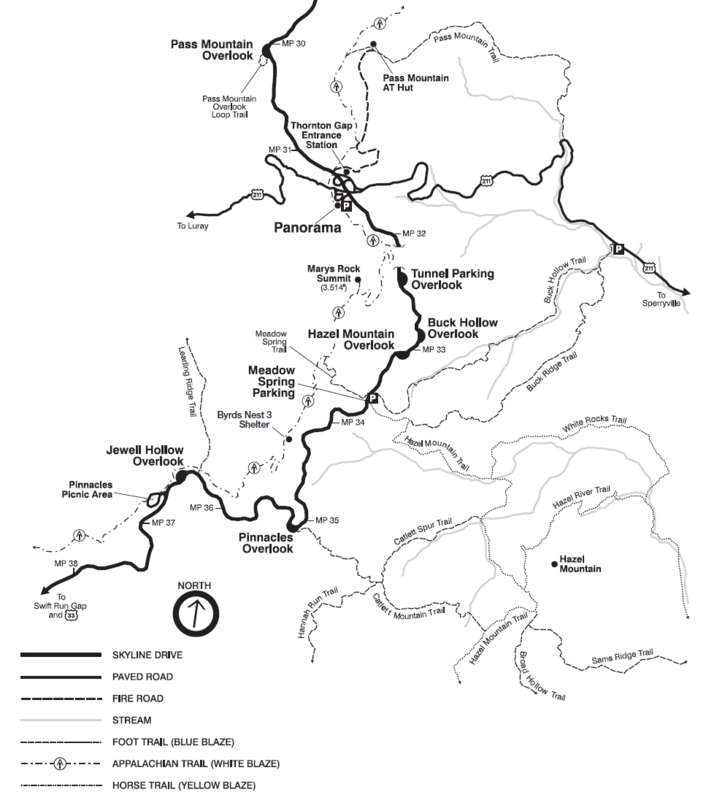 Lake access, 2 stream crossings, some hilly terrain. Few rocks make this a great place for barefoot horses. 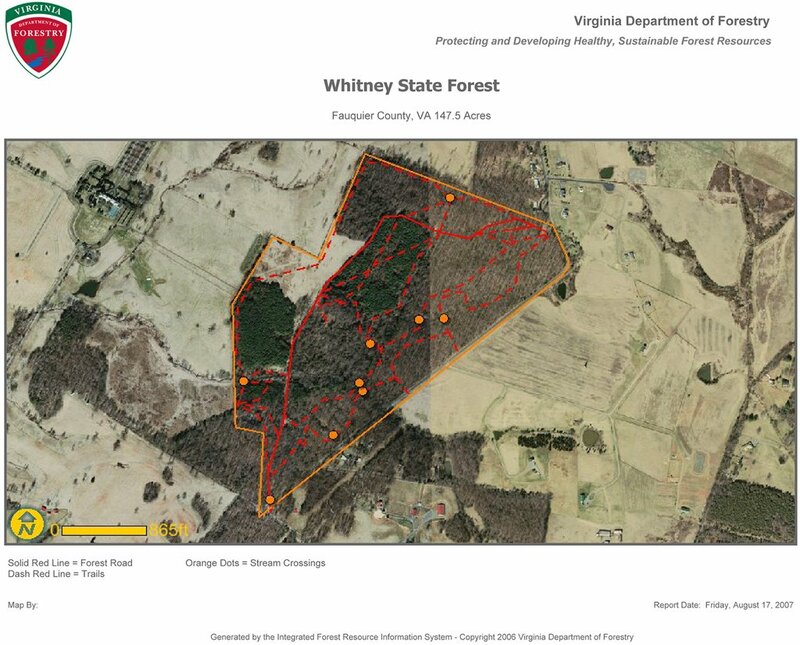 $8 daily fee or annual Virgina State Forest permit required. 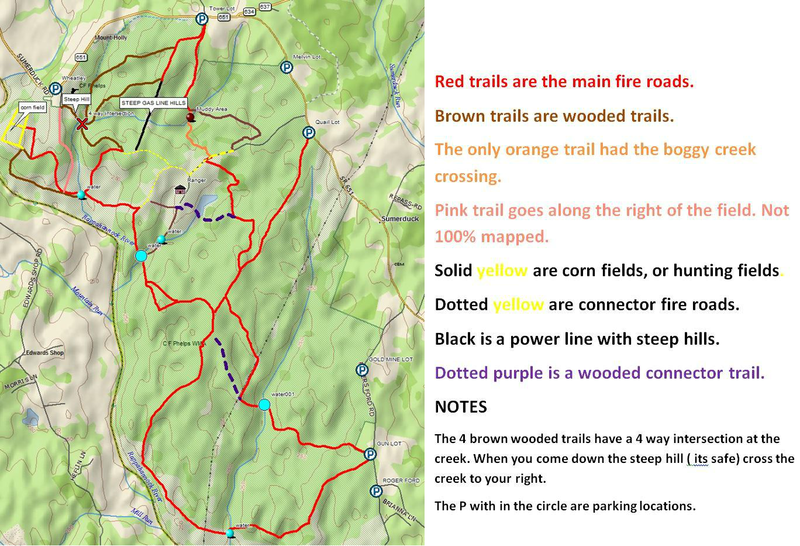 See the trails on Google Maps.